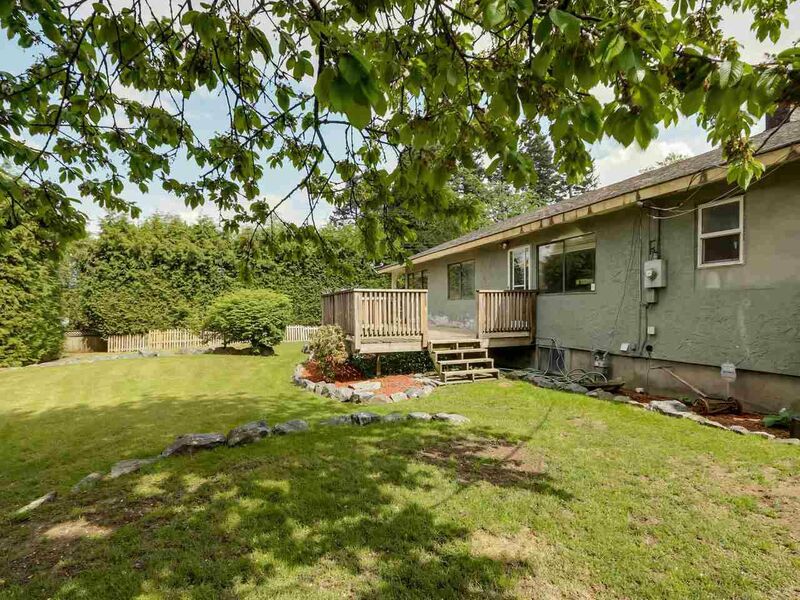 Private corner lot (13,506.60 Sq FT) charming rancher with full basement. Lots of character, hardwood floors, surrounded with cedar hedge. Double garage with lots of open parking. This is redeveloping fast. Close to Mill Lake, walk to all levels of schools. Shopping and all amenities very near by. New furnace & hot water tank.